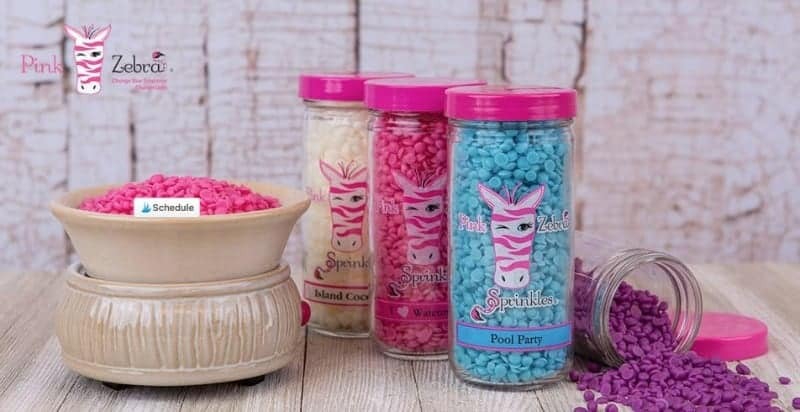 Pink Zebra exploded onto the direct sales scene in 2010 with their unique scent “Sprinkles” which are little bits of their signature SoftSoy wax, a high performing, ultra clean blend of soy and paraffin wax that you can mix and match to create an unlimited number of fragrances that fit you perfectly! Pink Zebra has gone on to add other home fragrance products such as candles, Soaks, reed diffusers, and more! They also offer an impressive variety of “simmer pots” which warm their Sprinkles to the perfect temperature for maximum scent exposure! You can join the Pink Zebra Team by purchasing one of their Starter Kits which has everything you need to begin building your business. You can earn up to 35% of your sales, plus earn even more by building a team and teaching others how to grow their Pink Zebra business! You can host in home parties, participate in vendor events, or sell solely online – the choice is up to you! Independent Pink Zebra Consultant Lori Sharkey is one of the consultants building her dreams with Pink Zebra. Check out what she has to say about her business. Having been in different direct sales companies for years, I always knew that leadership in direct sales and a potential full-time business were on my to-do lists. However, it wasn’t until I found Pink Zebra that those goals were achieved! Then, more people started realizing that the opportunity was fantastic, too! By February of 2014, I reached my first promotion! So exciting, and such a great motivator! Then, by December of 2014, I reached my first leadership promotion to Manager! Since then, our team has grown significantly. We’ve hit milestones, and achieved personal goals all around. We’re in numerous states across the country and are excited to see what the future holds! I can graciously, happily, and excitedly add that most recently in November 2015, I have reached Executive Manager! This means, not only have I reached leadership levels, but others on our team have reached this milestone, too! If you’re considering becoming a part of the “Striped Side,” take the leap!! This company is going far, and we want you along for this amazing journey! Pink Zebra is more than just a company to sell for, they’re the true meaning of family. Our founders, home office staff, and leaders in the company genuinely care about each consultant and want to see success ALL around! We’re getting ready to expand north of the border, and that’s just the tip of the iceberg as far as what’s ahead! 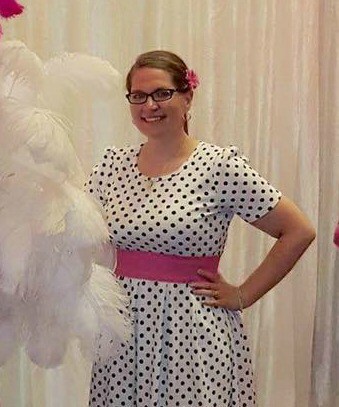 You can learn more about how you can get involved with Pink Zebra by visiting Lori’s website and be sure to connect with her in her exclusive Facebook Group and on Instagram.